Black and white studio portrait of three generations of the Grittani family. 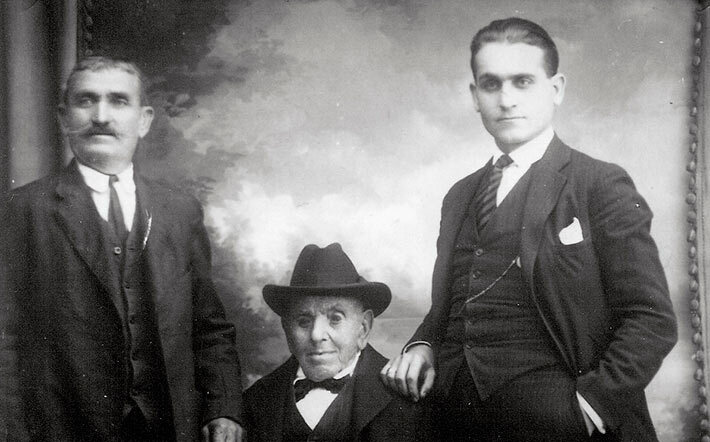 From left to right the men are identified as Fedele Grittani, Leonardo Grittani and Giuseppe Grittani. Giuseppe Grittani was arrested on June 10, 1940 and interned at Camp Petawawa.